I never understood, or maybe I was beyond The Secret, after spending a week with Sonia Choquette’s training for Sixth Sensory Practitioner. I had seen “Speed Manifesting” online, and it caught my eye. I wondered, how in the world can someone manifest quickly? How in the world can this be done? And,I bought the book. Lori covers the universal laws, Belief systems, Forming beliefs, Changing beliefs, balanced wealth, attracting money in section one.In section 2, she covers the 7 steps to abundance in great detail, dissecting each step, and breaking down each steps to smaller steps. For example, Step 7 is Start Circulating. In this step, she breaks it down to: Giving versus trading, Tithing, Allowing and receiving, Trading for love, Circulating with people and ideas, Good steward of money, Compete or create?. Then, there’s section 3. It includes everything else. The beginning of Speed Manifesting, Lori tells an extraordinary story about golfing. This explains how people allow their thoughts to defeat them. Her life from Detroit to New Zealand travels the reader through Canada as well, and the devastating loss of her stepfather. Her family became more and more in lack of money. They were to the brink of loosing everything they owned. 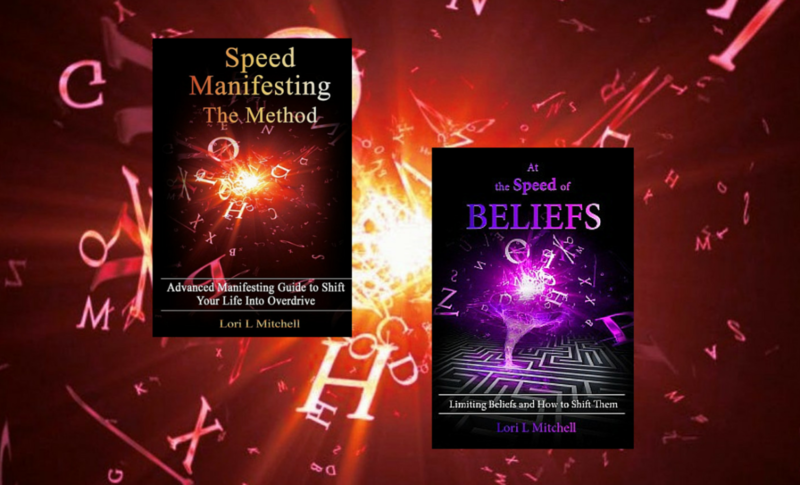 Then, Lori began using this system, “Speed Manifesting”, and it worked. Little by little, her and her family’s life turned around. Everything she manifested, she received in one way or another. Lori knows how to use the Law of Attraction, and is teaching others a technique that works. I’ve used Lori’s Speed Manifesting technique for my own needs, and did every step of the book, and it turned my own life around. Everything I asked for, I received in one way or another. I still use these techniques. I admire people who understand the Law of Attraction, and I admire Lori. This book is life changing. I swear by it. “Hi Lori, You are Awesome!Your clarity, your wisdom, and you peacefulness has been a great blessing to me. I enjoy and look forward to these late night videos that I practice before I go to sleep. “I’m feeling much better thanks to the conversation with you and putting things into perspective. Thanks for your contact Lori. I really appreciate it and you have helped significantly already!! Everything just fell into place & I pick the car up tomorrow! I’ve been doing the grateful dance for this & knowing that this is an upgrade to what I have & a stepping stone to manifest my new red Madza 6! WHOO HOO! ZOOM ZOOM ZOOM!” Connie F.
Ready to get inspiration and learn?